Christmas is the season of sharing and giving. This holiday will not be complete without giving or receiving any gift from and to somebody. Do you believe that there are mysteries happening behind every perfect Christmas? It’s the reality we often don’t see because we are too much overwhelmed by the idea that you give something and there will be something more coming back to you. How will you describe the word perfect? Is it being together? Having everything? What about other people out there without having anything and far from each other, do you think they also have a perfect Christmas? May be yes, may be no. Who can ever tell? You might be celebrating Christmas with your family and relatives. Everyone is trying their best to have a perfect Christmas. They go out together and enjoy every moment with their family. Friends are acquainted and enjoy a cocktail party and go out at night, making fun in the streets, greeting each other and sharing laughter. There could never be more perfect than a family eating a meal together. The moment you laugh and eat, have you also thought that there could be somebody who cries and suffer hunger? Many are celebrating a perfect Christmas, but many are also just wishing for that. When somebody is happy at this moment, there could be somebody who is sad at the same time. Life is a matter of equilibrium between joy and pain. Believe me, there is nothing ever happened in the history of Earth that all the people are both happy and joyful. Not all the people are rich, not all the people can eat their meals three times a day, not all of us have everything and not all of us have a perfect life. The moment everyone is eating a bountiful meal, there are children on the streets asking for alms and bread. When you sing a song because you are happy, there are people outside singing a Christmas song in every house just to have a dinner. The laughter every person had is equivalent to a tear in return. That’s a sad fact. When you sleep at night with your comfortable bedding, many families outside are shivering in the cold, hugging each other and wishing there could be somebody who will give them their old bed sheets. There are different wishes everyone is asking, but definitely, many families need bedding, clothing and supplies. The good thing about Christmas is that many are willing to give. In every hundred of wishes, many are also granted. People do not forget the essence of giving and sharing. There are many donations coming to every place where people mostly need help. This is the mystery I’m talking about. We are trying to make everyone’s Christmas a perfect one. We cannot blame ourselves if somebody has to suffer this and that, why they are like this, and you are like that. That’s the twist of life you need to understand. We cannot ask for more if this is all what we intend to have. 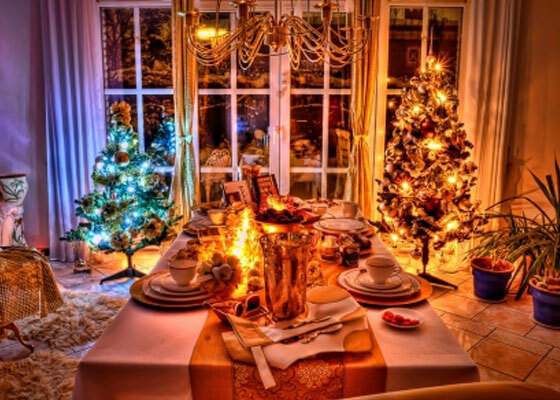 Many families are wishing to have a bountiful and delicious meal on the table. Many children are dreaming to have met Santa and wish for toys. But only few are given chances to have a perfect Christmas. Now that holiday season is about to come, let us not forget its essence. It’s just a matter of sharing what we had. Together, let us discover every mystery we can do to have a perfect Christmas. It’s in your hands.